If you stop by the Cowley College Student Salon you will notice a few changes intended to make things more inviting for its clients. The salon had its shampoo, manicure, and pedicure room recently remodeled to make the space more upscale. The waiting room was also remodeled to provide additional comfort for their clients. 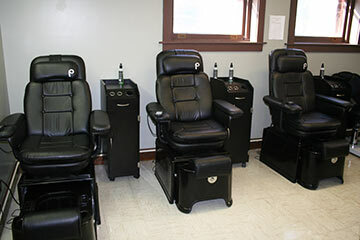 The salon removed its old shampoo bowls and chairs and replaced them with new pedicure chairs that massage and heat. The salon also installed entirely new plumbing. “We already provided a great education at Cowley College Cosmetology but now there is a greater sense of comfort for the client as well,” cosmetology instructor Amy Roney said. 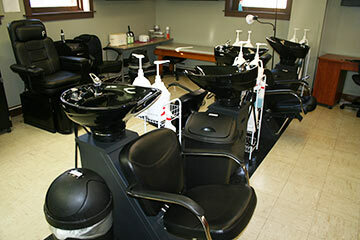 The Cowley College Student Salon is operated by students in Cowley College’s Cosmetology program. The Salon is located in the lower level of Ireland Hall and serves the students, employees, and community. The full-service salon offers a range of services, including cuts, texturizing, color, highlights, braid, braid strands, curl, perms, waxing, facials, makeup, lash and brow tint, shampoo, scalp treatment, pedicures, manicures, and many other services. The salon is open Monday through Friday from 1-5 p.m. A 15 percent discount is offered to those age 65 and older and also to Cowley students with a College ID. The salon offers monthly specials with October’s special being all nail services upgraded to a shellac polish when purchasing a manicure or pedicure. November’s special will be buy one service and get a second for half off. For more information or to make an appointment call 620-441-5284. Walk-ins are welcome.